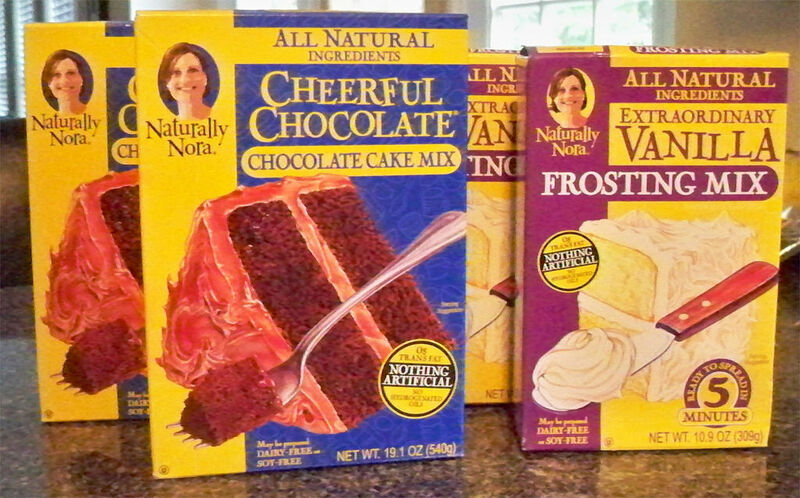 Naturally Nora products are all-natural baking mixes, which include brownie, cake, and frosting mixes. They are made entirely from all natural ingredients, and do not contain any artificial flavors, colors, preservatives, or hydrogenated oils and can be prepared dairy or soy-free. 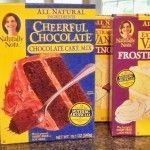 It is hard to find boxed cake mixes that do not contain a long list of crazy ingredients, and I must say, Naturally Nora fills this void very well. 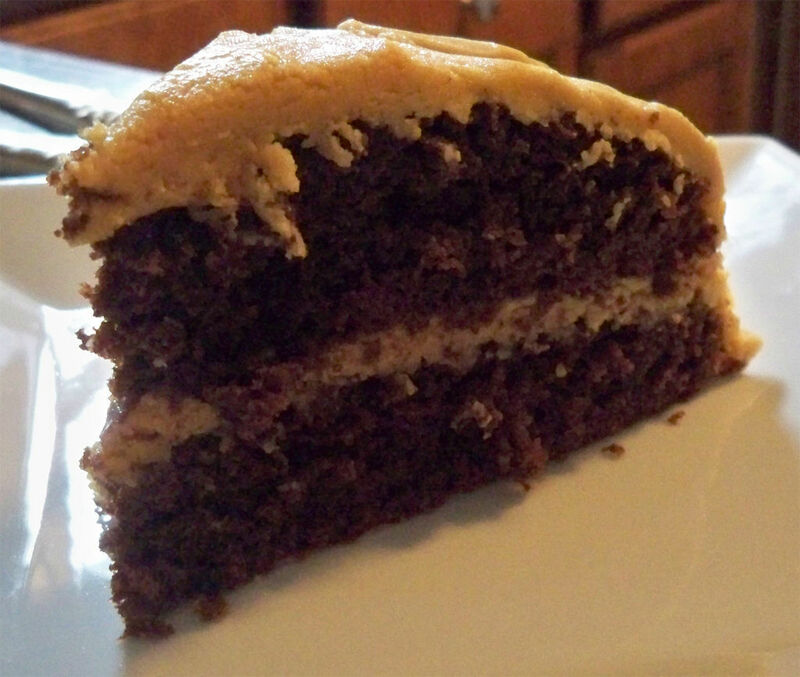 The Peanut Butter Chocolate Layer Cake came out very well. 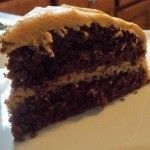 The cake is just as moist as any other boxed cake mix I have used before. The frosting is without a doubt, what makes the cake. It tastes exactly like the peanut butter filling in Reese’s Peanut Butter Cups. It is also just as thick. The consistency of my frosting may have been due to the fact that I used a natural peanut butter, which can be a bit thicker then regular creamy, but I still think you would end up with a pretty thick frosting. 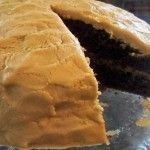 Be sure to keep a large glass of milk nearby when eating this cake, it is sweet and delicious. Heat oven to 350°F. Grease and flour two 9 inch round cake pans. 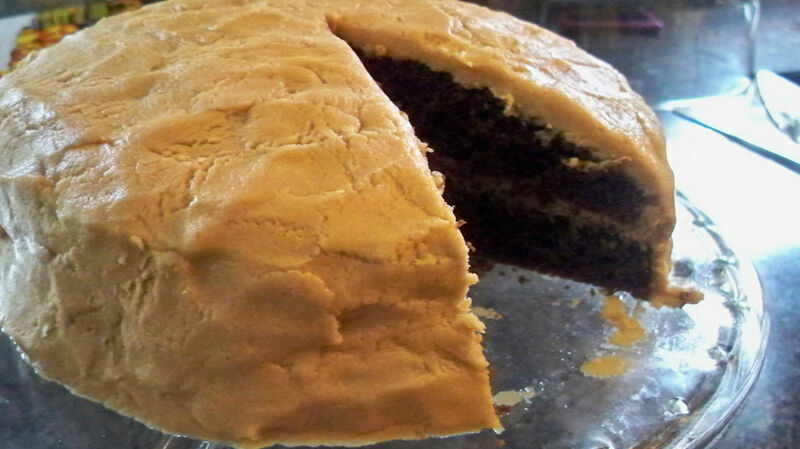 Mix cake mix, 1 ¼ cup milk, oil and eggs for 1-2 minutes on medium speed with an electric mixer. Pour into prepared pans. Bake 25-30 minutes. Cool completely. Beat frosting mix, peanut butter, softened butter and 3-4 tablespoons milk with an electric mixer on medium speed 1-2 minutes until blended and smooth. Place one cake layer on a plate. Spread with frosting, then top with second cake layer. 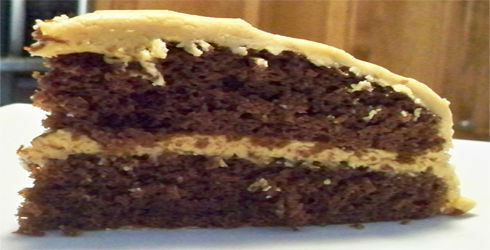 Generously spread top and sides of cake with remaining frosting. Press the chopped peanuts up against the sides of the cake. Wow! This looks incredibly delish. I would PAY for this and I love that it’s an easy mix.